ELIZABETH CITY, N.C. – GM released its new car-sharing program called Maven in Ann Arbor, Mich. 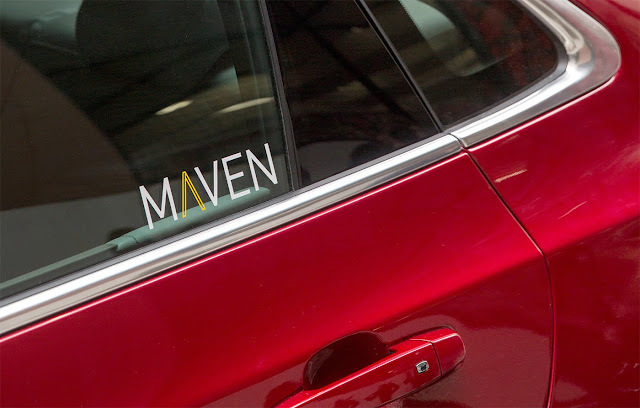 Right now, only a number of people are able to use the program, but soon Maven will be used by cities around the U.S.
A focus group of University of Michigan students and faculty members will be the first to use GM’s new car sharing program, Maven. But in the coming weeks, Maven will be available to over 100,000 people in Ann Arbor as well. In the next quarter, cities like Chicago and New York will follow and be able to participate in the car-sharing program. Customers will us Maven as a phone application. From the app you’ll be able to locate, reserve, unlock, start, and stop the vehicle. There will be 21 parking lots throughout Ann Arbor so it's easy to find a vehicle. Although there isn’t any information on whether Maven will show up in North Carolina, this will be industry-changing for car rentals in vacation areas such as New York and Chicago. Also, the amount of traffic in larger cities will be altered. If you choose to use Maven there are plenty of vehicle options. The Chevy Volt or Spark are your smaller car options, the Chevy Malibu is available for the medium size car option, and the Chevy Tahoe is available for the larger SUV option. Each vehicle is priced according to size, but rental costs range from $6–12 for hourly payments, or $42–84 for daily fees. If you’re interested in signing up for or learning more about Maven, check out this link: https://www.mavendrive.com. While we’re waiting for Maven to come to a city around us, come into Perry Auto Group and we’ll find you your own Chevy. We have plenty of cars, trucks, and SUVs to choose from. Perry Auto Group has two dealership locations to serve you better at 1005 W. Ehringhaus St, Elizabeth City, NC, 27909 or 1001 Halstead Blvd Elizabeth City, NC 27909. Stop in for any of your auto or community needs, or feel free to give us a call at (252) 338-9100.